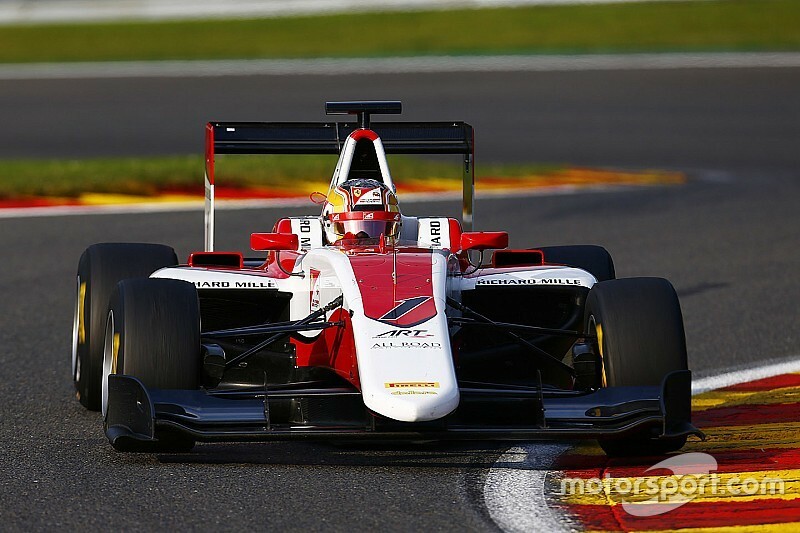 Charles Leclerc bagged a second pole position of the GP3 season in qualifying at Spa-Francorchamps, as title rival and ART Grand Prix teammate Alex Albon ended up down in 17th. Rapidly rising track temperatures ensured that the grid order was determined by the second runs, with the soft compound Pirelli tyres generally not lasting for more than one lap at the limit. Nyck de Vries led the way after the opening runs on a 2m06.370s, some three tenths up on nearest rivals Jake Hughes and Jake Dennis, with Albon and Leclerc sitting fifth and eighth respectively. 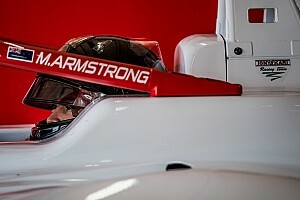 After the customary mid-session break, Leclerc returned to the track to post a 2m04.896s, enough to beat DAMS driver Hughes - who had been running just ahead on track - by 0.363s and take ART's fifth pole in succession. However, Albon ruined his chances of challenging Leclerc when he ran wide exiting Fagnes, dipping the right-hand side of his car in the gravel and almost hitting the barriers. That consigned the Anglo-Thai driver to 17th on the grid, giving him a monumental task to challenge for honours in Saturday's opening race. 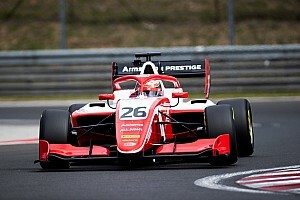 De Vries made it two ART drivers in the top three, 0.497s behind Leclerc, just ahead of title contender Antonio Fuoco, who was 0.552s off the pace, and Kevin Jorg in the second DAMS car. 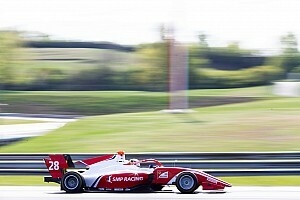 Matt Parry, Arjun Maini and Sandy Stuvik completed the top eight, ahead of Santino Ferrucci in the final DAMS entry and Alex Palou. Series returnee Oscar Tunjo lines up 16th for the opening race, while Red Bull junior Niko Kari could do no better than 21st in his first GP3 qualifying session.